We are very happy to participate in the 4:AM conference this year. One of the ways we are supporting it is by providing blog content. 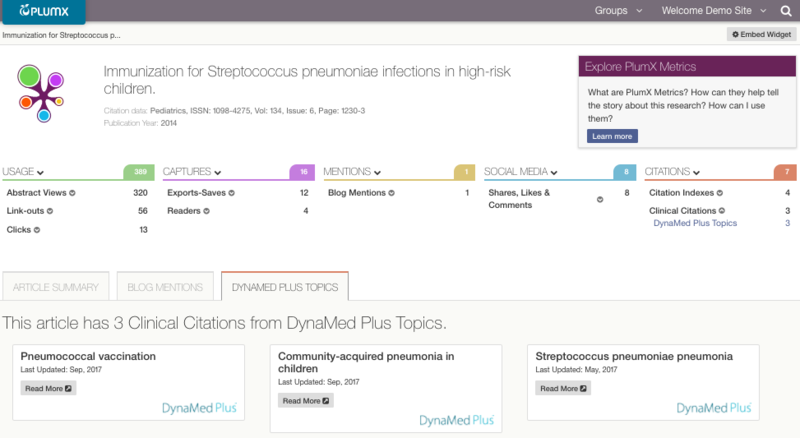 I wrote about “Why clinical citations deserve their own metric” stating and highlighting an article about immunization for Streptococcus pneumoniae infections and the clinical citations it has received (see below). You can read more about the sources of clinical citations, how they help researchers and funders and more on the 4:AM conference blog.